I’ve never been one for New Year’s resolutions. The general perception that they’re inevitably going to fail, combined with the idea that if I’m going to change something about myself, I shouldn’t wait for a specific date to do it, has made me pretty resolution-averse. However, I totally see the appeal of a new year as a fresh start, a clean slate, and a chance to make a change for the better. Additionally, it’s always bothered me that it’s generally accepted that a new year’s resolution will revolve around diet and exercise, especially for women. Now, don’t get me wrong – I’m not condemning anyone who wants to be living a healthier lifestyle. But I do think it’s a little weird that we’re living in a world where if you want to improve something about yourself, it’s automatically assumed that it will be something about diet or exercise. So, if you do like the idea of New Year’s resolutions but aren’t into the whole “I want to lose weight / run a marathon / bake every ‘diet muffin’ from my Pinterest board” thing, here are some ideas for ways to improve yourself, your life, and the lives of people around you. Ok, as a former teacher I’m totally biased towards education as a form of self-improvement. But really, educating yourself about important issues is a great way to feel more empowered in a crazy world. If you’ve always been interested in politics but don’t know where to start, govtrack.us makes it really easy to find your representatives and see how they’ve voted, or to track recent legislation on a variety of topics. For instance, with one click you can see what bills have recently been introduced regarding women’s health, minority education, or domestic violence. If you’re interested in LGBT issues and want to take your education and activism a little further in 2014, pretty much everything I’m seeing online these days indicates that trans* issues are the next topic that needs to be tackled by LGBT groups. Take some time to educate yourself about discrimination against trans* people, read a Q&A that covers some of the basic issues regarding trans* issues, or, if you’re up for a thorough (if kind of dense) overview of feminism’s complicated relationship to trans* issues, check out the Stanford Encyclopedia of Philosophy’s guide. If you’re interested in global feminism, now would be a great time to read up on African feminism. While there are awful human rights violations and sexist violence and discrimination occurring in African countries, it’s also really important that we don’t just see African women as victims of sexism. African women are making leaps and bounds in various areas concerning women and feminism – we should pay attention to what they have to say! Eating nutritious food and getting active (when possible) are two great ways to improve your health in the new year. However, it’s important to think about other aspects of your health as well. If you haven’t already, make 2014 the year you take control of your sexual health. Research what birth control is best for you here or here, get tested for HIV and STDs, and take some time to make sure your sexual relationships (if you have them) are healthy here and here. If you don’t have health insurance or the ability to get to a gynecologist for testing or birth control, find your nearest Planned Parenthood and check out their available services. (Also, if you ever started, now would also be a great time to stop smoking). So what do you think? 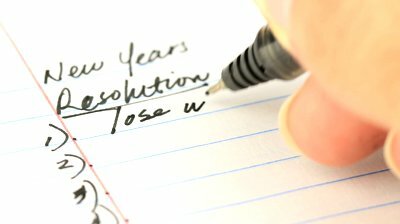 Are resolutions worth it or are they a load of crap? Did you make a resolution this year? What was it? I totally agree with you on women and diet and exercise resolutions! I’ve been noticing that trans issues is coming more into the forefront. I did three continuing legal education credits on them this past year. The Sylvia Rivera Law Project has lots of great info online.